Duane Barry, Llupa, Andy Faze, Charlie Kane, MartOpetEr, Bad Tango and more. HAPPY BIRTHDAY, BAKER!!! 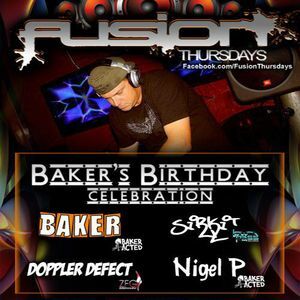 Recorded live at Fusion Thursdays: Baker&apos;s Birthday Party on December 13th, 2012. PsyBreaks.